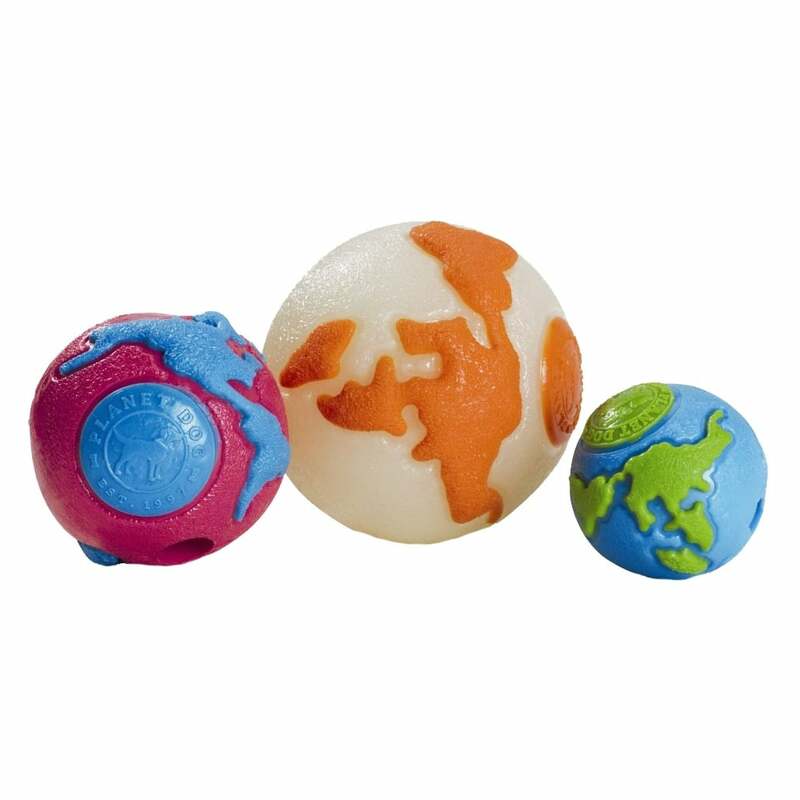 The Planet Dog Orbee-Tuff Orbee Ball Large is a top-rated product called "the world's best dog ball" by industry experts. With a 5 out of 5 on the Planet Dog chew-o-meter this incredibly durable ball is great for aggressive chewers. The Orbee Ball has a textured surface, is mint flavoured and is 4.25" diameter making it most suitable for medium to large breeds.